GET A COPY OF OUR NEW BOOK HERE! Your Aruba bird records will help us better understand the status, distribution, and abundance of the island's bird populations. 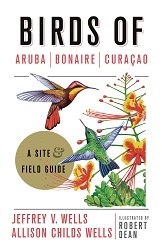 Now that you've seen so many of the wonderful birds Aruba has to offer, we would appreciate details about them. This is to help track abundance and status of Aruba’s native birds as well as the island’s winterers, migrants, and vagrants. In a perfect world, you would send us copies of your list of species and estimates (or actual counts) from each individual site you visit on a particular day. But the world is not perfect, so we would be grateful for any information you can provide. We invite you to download our checklist to help you compile your bird records. We also encourage you to snap photos of your rarities, for documentation. Don't worry about getting a masterpiece (you've seen some of our photos on this web site!) Just concentrate on getting the diagnostic features. You can send those to us, too, at birdreports@arubabirds.com. Cattle Tyrant, Tierra del Sol, Aruba, Nov. 2011. Photo Jeff Wells. 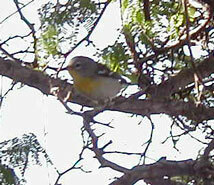 Northern Parula, Aruba, Jan., 2003. 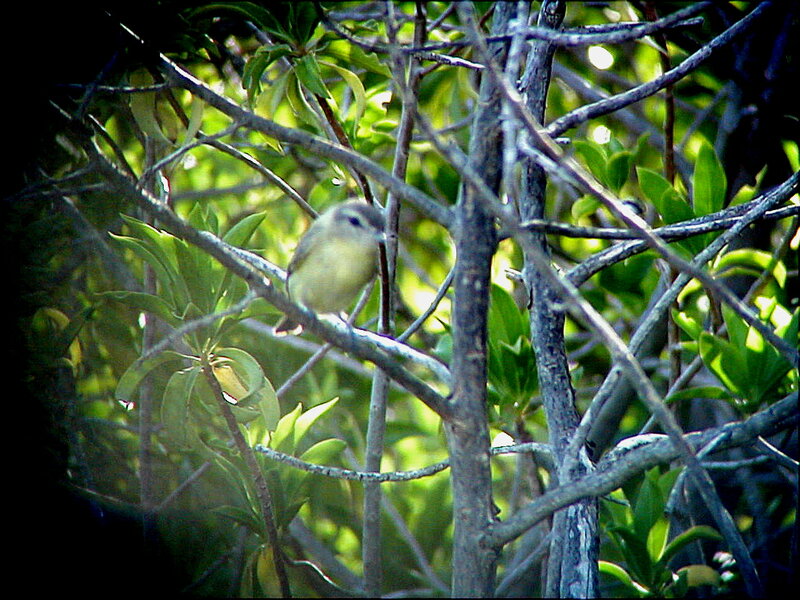 Hooded Warbler, Aruba, Jan., 2002. Photo Jeff Wells. Caribbean Martin, Aruba, Jan., 2002. Photo Jeff Wells.